The strength and stability of Germany’s national economy is reflected by that of its property market. Both have key differences when compared to others internationally that go a long way to explaining why a model of steady growth exists in place of the boom and bust cycles more obvious elsewhere, including in the UK. It’s why the German property market continues to attract significant international investment capital while avoiding price bubbles and the sharp market corrections that follow their bursting. It’s also why we strongly believe in investment bonds secured against German property development. The consistent strength of Germany’s national economy is renowned. Following the 2008 global financial crisis, the German economy was a rock of stability in Europe. Low unemployment, with overall employment actually growing by 4 percentage points between 2008 and 2013, meant that Germany avoided the worst of a financial tornado that ripped through entire political systems elsewhere in Europe and internationally. It’s not that Germany’s economy was not affected by the global crisis – it was. But rather than laying workers off, German companies implemented measures such as shaving hours off workers’ weeks or overtime being converted into paid holidays to be taken at a later date. German company boards have union representatives on them, leading to greater understanding and flexibility around how wages and worker conditions impact competitiveness. Employees are generally far more appreciative than elsewhere of the bigger picture and the balance that needs to be struck between their interests and those of the company they work for if both are to prosper long term. Germany’s economic growth rate is consistently among the top three of the G7 group of leading industrialised economies. The EU’s powerhouse overtook the UK at the top of that table in 2016 and despite recent political uncertainty as Angela Merkel seeks to shore up her government’s coalition, FocusEconomics Consensus Forecast panelists expect the economy to pick up pace in the remainder of the year and expand 2.2% in 2018. Growth of 1.9% is forecast for 2019. Strong wage growth is expected to continue, buttressing household consumption with healthy government consumption and fixed investment the supporting pillars set to keep an economy with extraordinary robust fundamentals intact. Much to the chagrin of some, especially U.S. president Donald Trump, Germany also consistently runs the world’s largest trade surplus. In 2016 it was 8.3% of GDP, or $300 billion – dwarfing that of China. While the extent of the country’s trade surplus has been criticised as counter-productive within the context of the wider global economy, it certainly helps insulate the local economy from shocks to the international financial system. “Germany has never exhibited the sort of boom-and-bust housing cycles prevalent in markets like the UK or the US”. Around 70% of Brits own their homes. In Germany that number is far lower at a little over 40%. In larger cities it’s significantly less. Among the world’s developed economies, Germany’s home ownership ratio is close to dead last. In Europe, only the Swiss rent more. The tenant culture prevalent in Germany dates back to the post-World War II landscape. Much of the country’s housing stock was rubble and new government housing law was passed to boost construction with the welcome side effect that the drive would provide much needed employment. Big inroads were made into the housing shortage but most Germans rented their new homes. The lack of a developed mortgage system, with big deposits required, and a lack of cash for those deposits were the simple reason. Unlike in the UK, where the State dominated, the private sector was heavily involved in building Germany’s post-war social housing stock. The strict rent and construction cost caps imposed by the UK government led to an inferior quality product. Social housing became stigmatised as for ‘poor people’. In Germany, social housing was simply nicer and so avoided that stigma. The cost of rent ratio compared to the UK reversed in subsequent years. Strict regulations around rent increases and tenant rights meant that renting in Germany became far cheaper than in most other developed nations. That status quo is maintained by the fact such a large percentage of the electorate are tenants. Any government that loosened restrictions on rent rises wouldn’t hang onto power for long. With the incentive to hedge against rent rises largely removed, many Germans are perfectly happy to remain tenants for life. Also, unlike in many other countries, Germany’s tax system doesn’t encourage home ownership. Mortgage interest can’t be deducted from income tax due. Mortgage lending is also stricter. Landlords also don’t get tax breaks or small-deposit mortgages, putting the brakes on what they are willing to pay for a property. The combination of economic strength and stability with the unique qualities of Germany’s tenant-dominated and rent increases-regulated property market has led to a remarkable stable environment. Prices are rising, and so are rents, at present because of housing supply issues. But not, according to experts such as Angela Talavera, in the same ‘bubble’ pattern as we are familiar with in the UK. 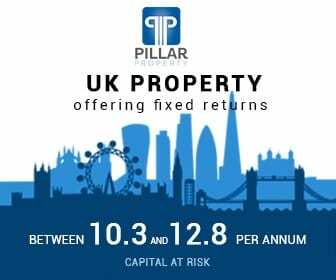 It all adds up to the strong investment proposition that year after year attracts international capital looking for a low-risk, strong prospective returns proposition. There aren’t many of them but Germany’s real estate market has proven itself to be just that. Brazil – Latin America’s Germany? If the German economy is Europe’s engine, it can be said that Brazil is South America’s equivalent. The world’s fifth largest country, Brazil has a population of over 200 million – over 2 times that of the European powerhouse. It’s economy, albeit from a lower base, is also growing even faster, with 3% GDP growth forecast for 2018, consolidating it as the 8th largest in the world. Strong economic development over the past 2 decades also means that 50% of the population is now considered to form part of a ‘middle class’. After a slow couple of years Brazil’s residential property market has also returned to strong growth. The Rio Times reports that sales increased 9.4% in 2017. 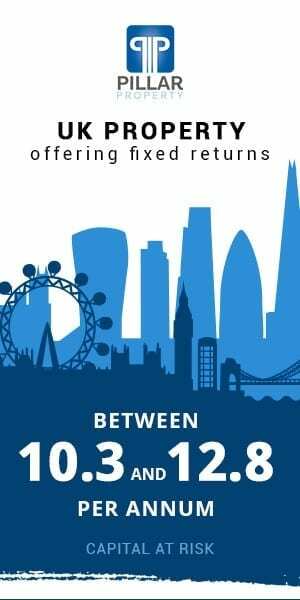 Live and Invest Overseas and the Association of Foreign Investors in Real Estate both currently place Brazil at the top of their tables for markets forecast to provide the strongest income generation and capital appreciation over the next years. The former ranks Brazil as no.2 internationally and the latter no.1.